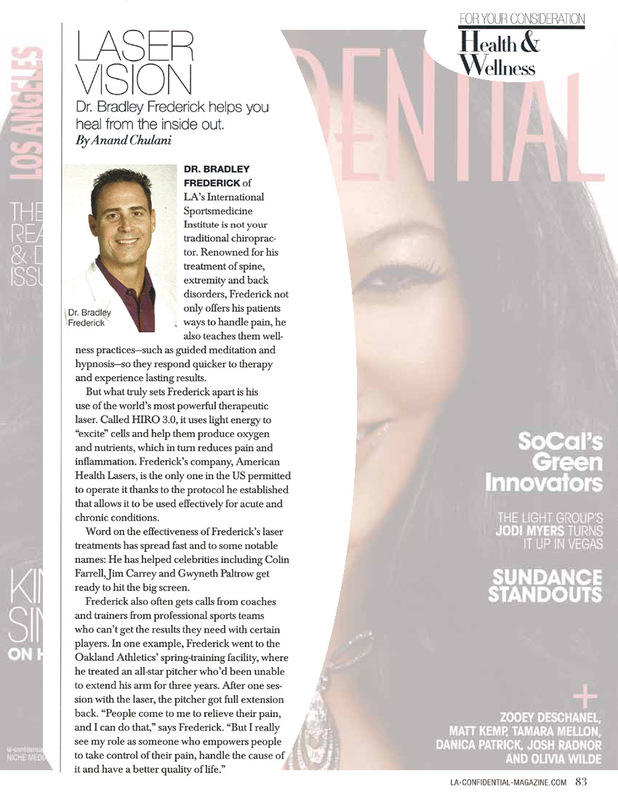 Dr. Bradley Frederick became the first doctor in the United States to have the latest technology in pain management. At American Health & Performance Center, with Dr. Fredericks 31 years of experience, cutting edge protocols were developed to provide fast pain relief and accelerate the healing process. American Health & Performance Center offers the best non-surgical approach to pain management and the treatment of a variety of conditions, including sports injuries, pain related to arthritis, herniated discs and strained muscles, as well as other musculoskeletal conditions. Get the edge you need to be the athlete you want to be. Hyperthermic Ozone and Carbonic Acid Transdermal Technology! One of the most potent oxidants in nature. We have been providing orthopedic post surgical equipment and care for 35 years. Spinal Decompression is the NEW treatment for your low back pain.